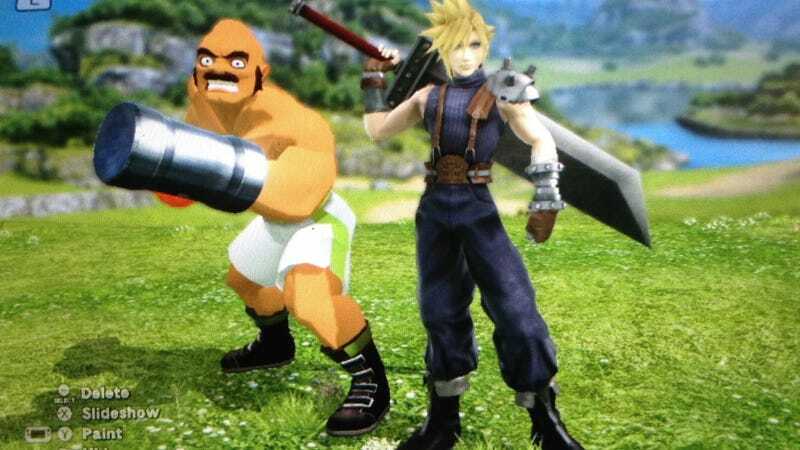 Cloud and a bunch of Smash Bros. trophies. That’s one way to create a new gen Final Fantasy VII. Adam Vian on Tumblr made some funny shots, which almost—almost!—resemble moments from Final Fantasy VII’s story. Barret? Cait Sith? Sephiroth?!? Aeris?!?!? !